Nowadays, after the whole Lana Del Ray kerfuffle, any female fronted group / artist that borders along the line 'alternative pop' will no doubt be judged against the now ubiquitous Ms. Lizzy Grant. 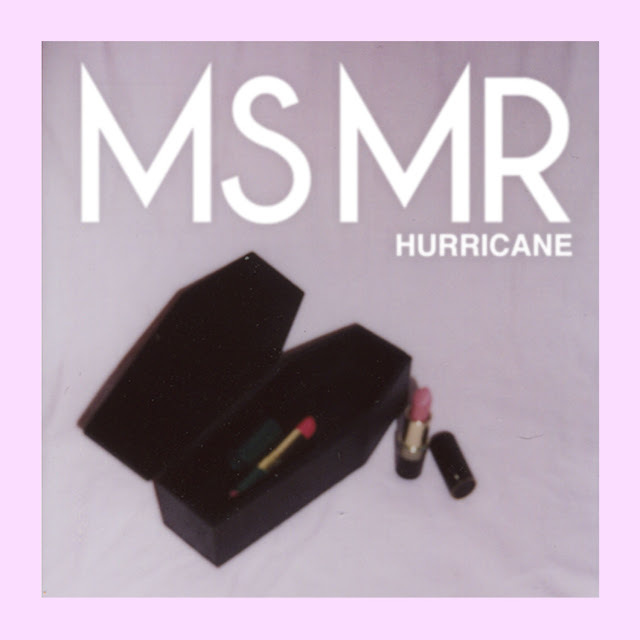 But the girls that make up MS MR are paving their own way, such is exemplified by their new video for the soothingly addictive "Hurricane". This one is a little different, however. Lets just say that the music is better for a start (ohh my, how dare he! ), with the marching percussion and darkened synths over some rather celestial vocals, this alternative also comes with a video that is perhaps the most warped, head-fuckable machine gun imagery you've seen in a long while. Seriously, it's going to melt your brain, but at least it will do it in the nicest possible way. Download "Hurricane" in exchange for your email address here, watch the video with caution below.